It was a murderous trip. In October 1913, Theodore Roosevelt arrived in Rio de Janeiro, Brazil, on a tour of South America. The thrill-seeking adventurer had no idea that he would soon receive an offer he couldn’t refuse: the chance to lead an expedition deep into the Amazon jungle to chart an unmapped river with his son Kermit and renowned Brazilian explorer Candido Mariano da Silva Rondon. 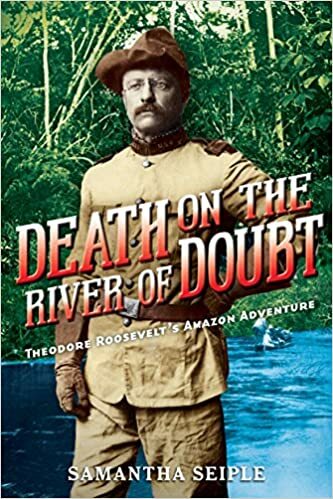 Death on the River of Doubt takes readers inside the thrilling journey that unfolds as Roosevelt, Rondon, Kermit, and their companions navigate an unpredictable river through an unforgiving jungle. With new threats at every turn, from bloodthirsty piranhas and raging rapids to starvation, disease, and a traitor in their own ranks, it seems that not everyone will make it out alive. But Teddy Roosevelt was determined to complete their mission and rewrite the map of the world. Or die trying.